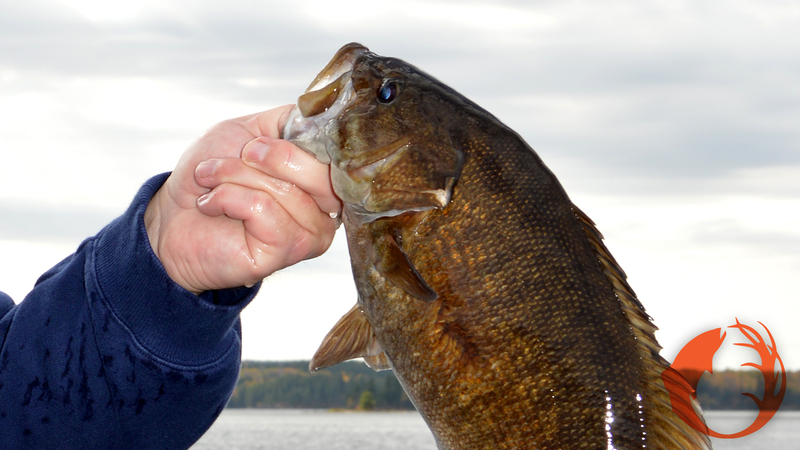 Tim Snyder caught this big smallmouth on Kabetogama Lake last fall. It was one of many truly big smallmouths taken on jigs tipped with plastic or large minnows. The weather in my part of the world has been cool the past few days. Some people are predicting an early autumn. I’m not hoping for summer to depart soon, but we take what they send when it comes to weather. If you like to fish, the fall months can provide some outstanding fishing opportunities. Just in case fall does come early this year, following are some things you can do to take advantage of the fishing action. The fall season provides perhaps the best opportunity for catching numbers of big fish. Sure you can catch a big one before it spawns in the spring, but fall fish are preparing for winter by bulking up, so they’re hungry. They’re thinking about eating, not about spawning. That makes them more susceptible to an angler’s presentation. As with any fishing, the key thing is to fish where the fish are. I’ve caught walleyes in the fall in two foot of water on wind-blown shorelines, and in thirty feet of water on deep humps. Same thing’s true with largemouth bass, smallmouth bass, northern pike, muskies, and crappies. Keep moving until you find them. Remember that in the fall, big baits catch big fish. It’s more efficient for a gamefish to eat one big meal instead of several smaller ones. Therefore, big baits are the way to go. If you’re after largemouth, try a Reed-Runner spinnerbait with a big blade and tip it with a big trailer, something like the largest Impulse Paddle Shad. If a slower presentation is desired, go with a rubber legged Jungle Jig with, again, a bulky plastic. This set-up is effective where you would fish the spinnerbait or along a deep weedline. Make sure the jig color contrasts with the trailer color. If walleyes are the quarry, try a Fire-Ball jig tipped with a redtail chub, one in the five inch range, maybe even a little bigger. When it comes to fall walleyes, a redtail is hard to beat. Don’t crowd them in the minnow bucket, and keep them aerated. We always take at least three or four dozen redtails on the water with us in the fall. Make sure you’re using fresh, strong line in the fall. Too many anglers use the same line they’ve used all spring and summer, and things usually work out o.k. But knowing that the odds for hooking a truly big fish are better in the fall should be incentive enough to spool some new line on just in case the line you’re using has a nick. Your line is the only thing keeping you stuck to the fish: Use good stuff. Eight pound test P-Line CX Premium has become a favorite of mine for this style of fishing: It’s strong, but thin in diameter. There are lots of reasons to go fishing in the fall. The colors can be spectacular, the crowds are gone, and the big fish are eating. If you keep the above ideas in mind, you’ll be on your way to taking advantage of these fall fishing opportunities. To see the newest episodes of Fishing the Midwest television visit fishingthemidwest.com and don’t forget to join us at Facebook.com/fishingthemidwest.